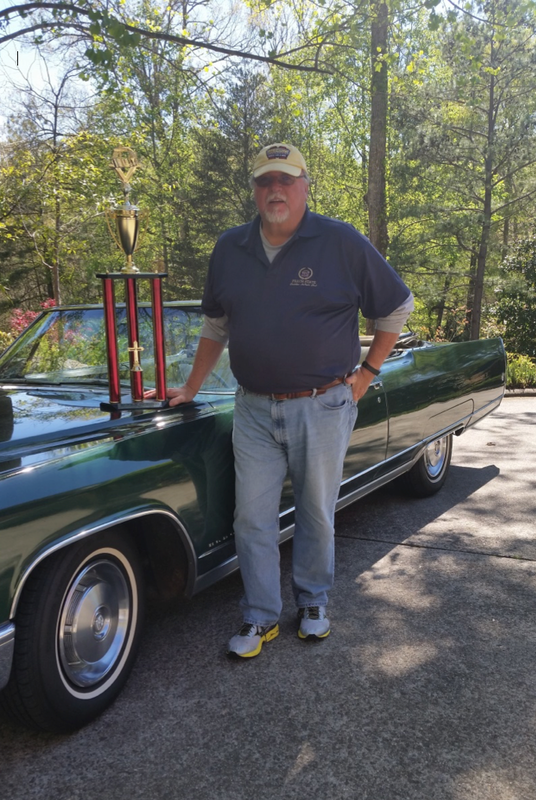 Peach State Cadillac & LaSalle Club - Member Wins! Please send us your photos about the wins you have experienced with your Cadillac(s) lately! Congratulations to PSCLC winners at the 2017 Hilton Head Island Concours d'Elegance! AND, have you checked out the terrific piece — written by our own, Frank Butler, in the April 2018 Self Starter? 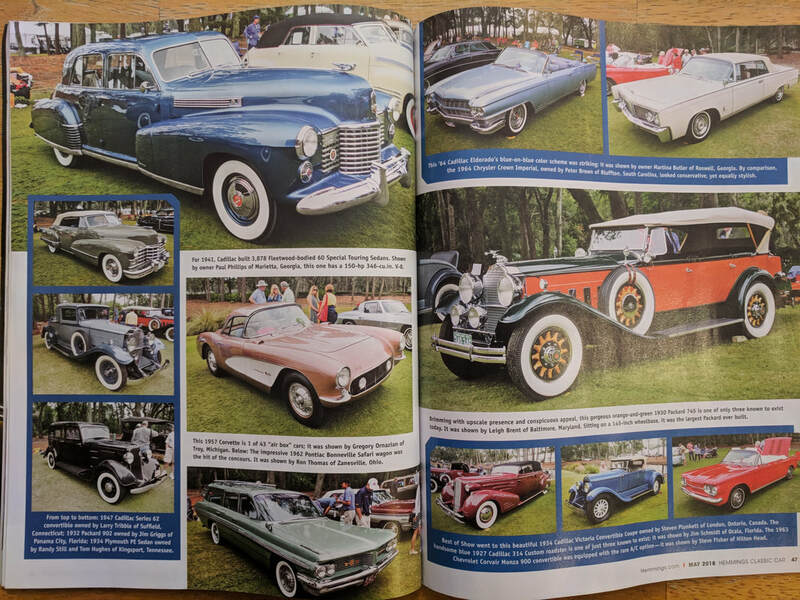 And more publicity about the Concours d'Elegance from Hemmings Motor News! Rob Johns drove his 1941 Series Convertible coupe. This was the car that graced the cover of CLC’s The Self Starter a couple months back. 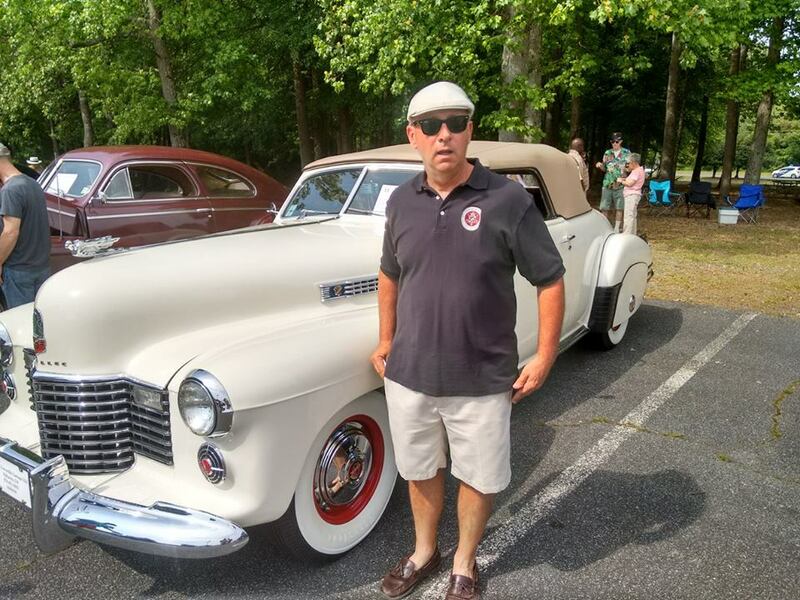 We really appreciated seeing it once again “in the flesh.” This ‘41 took the award from a pristine 1941 convertible sedan belonging to the Peterson collection, as well as from 17 other Cadillacs on the field. This made Rob’s car the BEST CADILLAC at the 2016 BOPC. Congratulations, Rob and Linda! 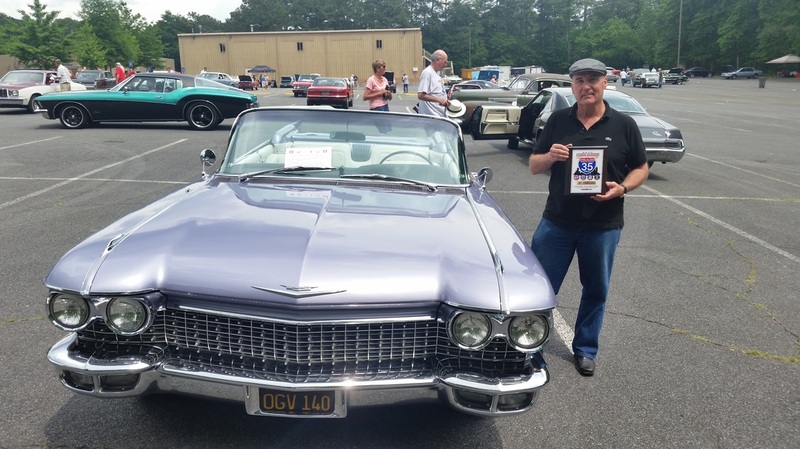 Robert Briggs made his way north from Dunwoody to show his sweet 1960 Eldorado Biarritz. We were glad he did, because there was wide acclaim – even among the Pontiac and Buick owners – that this was the finest example of GM iron they had seen in some time. Congratulations, Robert, for winning BEST OF SHOW among about 150 entrants. Your heather Biarritz was the highlight of the day! This is a great show, although it’s near Newnan, about an hour south of Roswell. They had about 40-45 cars there, and they were nice! Burgers, dogs, home-made ice cream, fried peach pies, and soft drinks. I was proud to have been awarded the Pastor’s Choice for the ’66 Eldo. She was clean, and made the run down and back without incident – unless you call 9 mpg an incident! My friend, Buster Meadows, is the lead guy for his church, and he hosted the event with much fanfare and celebration. He is a master at the microphone. I got to know him as the Chief of Police at Newnan PD. Not via an arrest I might add. Anyway, I hope we can take a long line of classic Cadillacs to the show next spring, in April 2017. Mine was the only Cadillac on the field, and those folks deserve a little CLASS, you know?